Ouzo is a licorice-flavored liqueur that's been a favorite in Greece for centuries. Now you can enjoy that same distinctive Ouzo flavor in a hard candy. 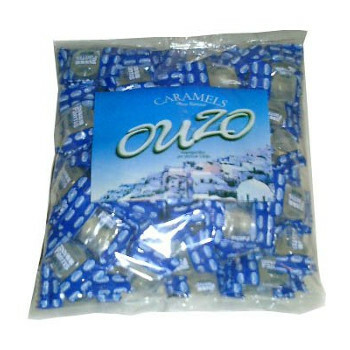 Imported from Greece, these individually wrapped candies are naturally flavored. A sweet gift for your friends, or great for parties, these unique candies are bound to be quite a conversation piece! Sugar, Glucose Syrup, Natural Ouzo Flavor.